Do you want to Buy Apartment in Turkey? So you want to buy an apartment in Turkey? But what’s the best way to go about it and what are some things you need to look out for? We put together some essential tips before you make a major investment in a Turkish city. Most foreign citizens are allowed to buy property in Turkey. Once you’ve really decided what kind of apartment you’re looking for make sure to contact a local real estate agent in the neighborhood where you are looking to buy. There are a vast amount of places for sale, but a real estate agent will help you sift through to find a good match. 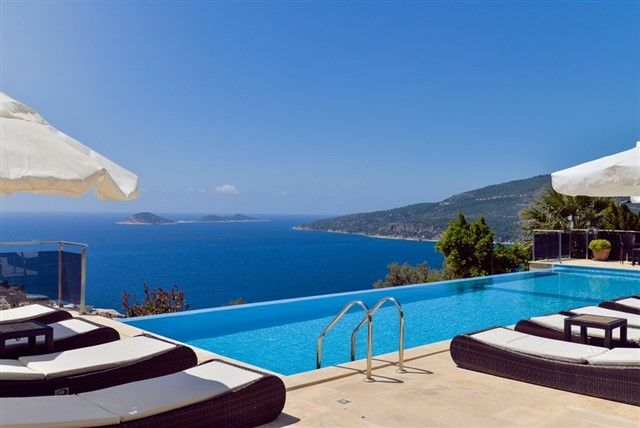 For Properties in Antalya, Alanya and Istanbul you can contact our company ANTALYA ESTATE. Our sales managers will be glad to help you. If you don’t speak turkish, you can check out trustworthy websites to work with people who are used to helping expats. The companies will also set up a viewing trip with one of their advisors so you can really get a sense of the city and the kind of property you’re looking for. When you’re inspecting a potential property, make sure that the house has a title deed and that the water, natural gas, phone, and electricity bills have been paid by the previous owner. It’s also important to note that everything about the property, as well as the area around it, should be to your liking, and you should really ask yourself questions regarding how it would feel living there for a long time. Neighborhoods are all different from one another and the price range also changes drastically according to the area. It’s best to take a tour of the city in order to decide where you want to live. For example, in Istanbul: whether it’s something modest like an older apartment on the Asian side, or a gorgeous House in Arnavutköy overlooking the Bosphorus. Remember that the Princes’ Islands are also part of Istanbul and can offer a very idyllic lifestyle away from the city (if that’s something you’re looking for). Also remember that the more affordable properties are always located on the outskirts of the city and that things get more expensive in popular neighborhoods and by the Bosphorus. In Antalya a new Property in Lara or Konyaalti area more expensive, than same property in Kepez. Once you’ve chosen your property it’s time to face the bureaucratic side of things. Make sure to check out this guidance page by The Republic of Turkey Ministry of Foreign Affairs in order to get an idea. However, it’s advised to seek out professional legal advice before you move forward so that you don’t run into any messy situations. Our company has professional lawyers, and they will accompany you at all stages of sale process. Once you’ve succeeded in finding and purchasing your lovely property in Turkey, it may be time to consider what it means to live in Turkey. If you think you may need help with matters such as language, work, or legal matters, then our company ANTALYA ESTATE will give you necessary consultation.